The 4D Library v16 Library has a new way to control the text in floor plan. To allow the user granular control of text output, a new set of Model View Options has been added. This will allow for easier control of text for the creation of Sketch Plans, Brochure Plans as well as standard working drawing documents. When a part is set to ‘Standard Display’ the part will show as per before v16. 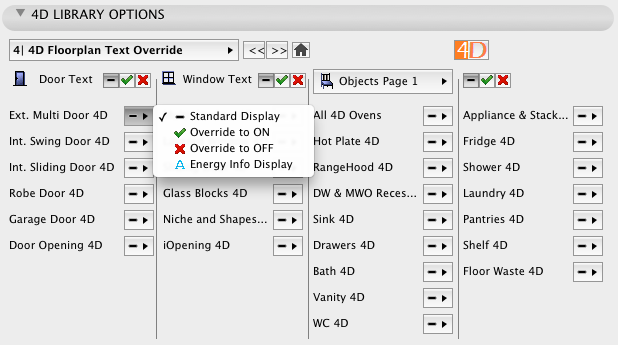 This means door and window text will always use the standard ArchiCAD Model View Options.